It took me using about half the tube before I came to truly appreciate the Aromachologie Soothing Concentrated Mask from L'Occitane. My usual solution for itchy scalp is shampooing to get rid of product buildup and whatever else that causes the uncomfortable feeling. A clean scalp is a happy scalp. The first few times I used L'Occitane Aromachologie Soothing Concentrated Mask I enjoyed the sensation of applying the treatment directly to my scalp with the nozzle, but I probably rinsed it too quickly and wasn't too impressed with the lack of results. Only when I started leaving the mask on for at least 15 minutes did I realize that it was doing a world of good to the way I was feeling. This L'Occitane mask relieves dryness, discomfort, and the occasional reaction for an unsuitable hair product (an occupational hazard that sometimes have me question my sanity). I've learned to save this mask for real emergencies, leave it on my scalp for a good while, and follow with a gentle but hydrating hair conditioner since the soothing mask does little for the hair itself. Bottom Line: use as directed. L'Occitane- Aromachologie Soothing Concentrated Mask ($26, 5.2oz) is available from L'Occitane stores as well as online. The product for this review was sent by PR. 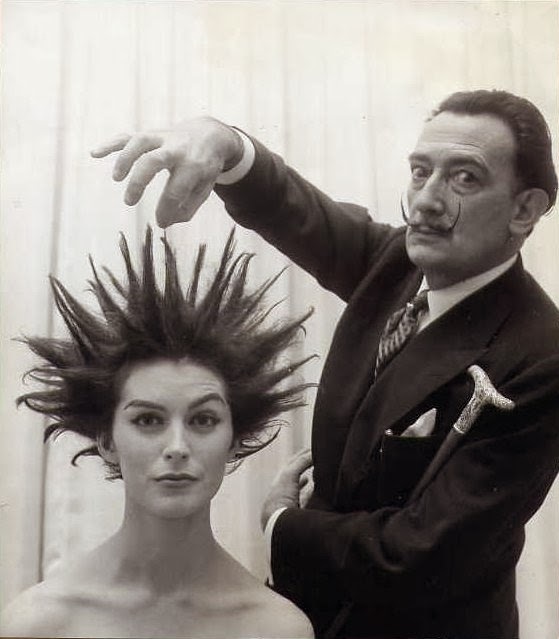 Photo of Salvador Dali via Stirred, Straight Up With A Twist.